The presenters will discuss the creation of an exhibit at the University of Vermont’s Bailey/Howe Library. The presenters will trace the development of the exhibit from a supplement to the university’s first-year read, The Spirit Catches You and You Fall Down, to its final design as a multimodal, self-guided tour highlighting research across campus and issues relevant to the local community. Along the way, the exhibit became a vehicle for forging relationships between the library and the university, positioning the library as a hub of research and information, and offering students a perspective on information behavior and culturally aware professional practice across the disciplines. Some librarians at Saint Michael’s College are using the Cephalonian Method to engage students in first year library orientation. During the first weekend on campus, all first year students come to the library for a one hour orientation/tour. The Cephalonian method provides the opportunity for first year students to give their names and ask questions from pre-designed index cards. The result is a more personable, interactive, and humorous orientation session. 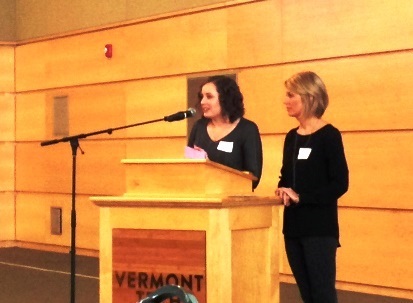 In Spring 2014, two librarians from the Dana Medical Library at UVM set out to redesign the library orientation for new residents and fellows at the University of Vermont Medical Center. Because past orientation sessions were often dull, mandatory library stops, we decided to throw out the traditional “walk and talk” orientation model and replace it with an active-learning exercise. In our presentation, we will demonstrate how we redesigned a passive library orientation as well as how we improved and expanded upon it in 2015. Wikipedia has become a near ubiquitous starting point for a number of different research communities at colleges and universities. More than simply an information literacy hurdle, Wikipedia is a powerful tool for engaging students in research assignments and exposing institutional digital collections. Every semester hundreds of professors assign thousands of students to write Wikipedia articles; faculty praise these assignments as much higher quality than other research papers and students are excited that their research has a highly visible and public legacy. We will discuss best practices for university and college libraries of all shapes and sizes to engage with Wikipedia for critical thinking and information literacy, library-engaged research assignments, and collection discovery. Our presentation focuses on the use of primary sources in library instruction to inspire students to think around issues of injustice and oppression. Following remarks on our chapter-in-progress for a book on Critical Library Instruction, the session will be devoted to introducing/discussing Critical Pedagogy and its influence on library instruction. Because Critical Pedagogy is dependent upon decentering the lecturer in favor of a participatory and community-driven style of learning, we hope this session can act as a forum for our colleagues to share ways in which they’ve incorporated facets of Critical Pedagogy into their instructional practice, ask questions about Critical Library Instruction, and offer any critiques they have of Critical Pedagogy/Critical Library Instruction. Over time, most librarians deal with the process of redesigning physical space and having remodeling work done in the building. No matter how detailed the plan, some things always change or go wrong, but some things turn out better than we had planned. With the Hogue Library at NorthEastern Baptist College in a state of being remodeled for four years, we have many interesting and informative stories to tell. Come and share your experience and expertise with others as well, as we learn together how to sigh less, and smile more, in our remodeling projects. As the shared library of Vermont Tech and CCV, the Hartness Library serves a diverse student body across the state, both on the ground and online. Students and faculty can be a moving target. 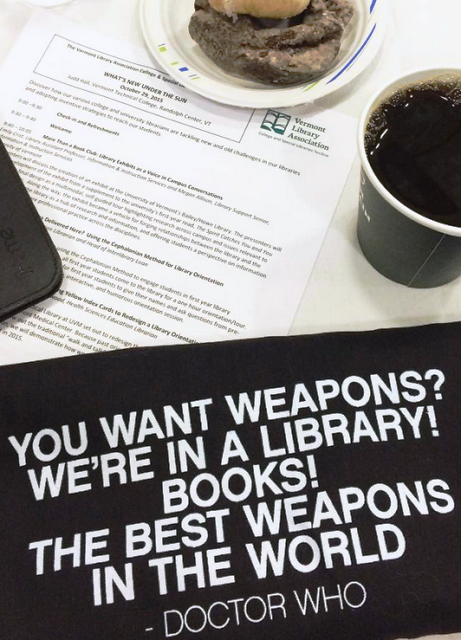 How to keep library services and resources on their radar, front and center? With a set of new tools and the creative re-packaging of some old ones,LIM (Library in Moodle) is boosting library visibility through LMS integration and faculty outreach. Hear how this customizable approach is being implemented at both institutions.